Manny Pacquiao has unceremoniously dumped his long-time trainer Freddie Roach who guided the Filipino superstar to nine world championships across seven weight classes during their 16-year partnership. 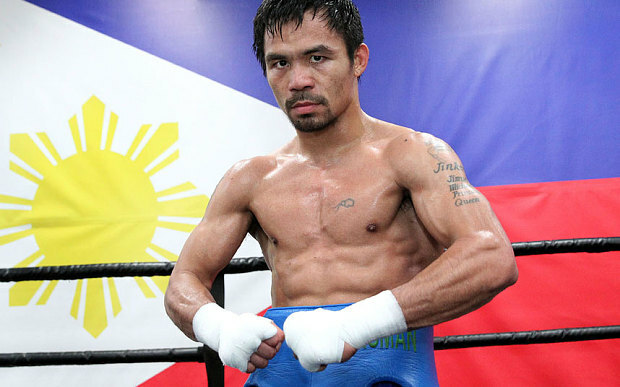 Pacquiao is scheduled to return to the ring for the first time in a year when he takes on WBA “regular” welterweight champion Lucas Matthysse 39-4 (36) of Argentina on July 14 in Kuala Lumpur, Malaysia. The move will come as no big surprise to Roach, who cornered the 39-year-old Filipino icon for 34 straight fights and helped him scale the type of heights rarely seen in pro boxing, but has been on the outer since Pacquiao’s loss to Jeff Horn in his last bout. Pacquiao’s team alerted the world to the split via media release without first contacting Roach directly. “Pacquiao will be joined by his new promotions team along with trainers Restituto “Buboy” Fernandez and Raides “Nonoy” Neri,” the final sentence of the media release read. Fernandez is a lifelong friend of Pacquiao’s who has been a presence in his corner for most of his career. Neri has also played a critical role in Pacquiao’s camp, mostly as the cook. Cracks started to show in the relationship with Roach in the aftermath of Pacquiao’s shock loss to unheralded Australian Jeff Horn in Brisbane last July. In that fight in front of a crowd of 51,000 fans at Suncorp Stadium, Pacquiao lost his WBO welterweight world title in a fight where unintentional head-clashes were common. The 58-year-old Roach, a popular TV fighter who boxed at lightweight under the nickname “The Choir Boy” in the 1980s, released a short statement about the split.